Our commitment means diligent attention for our clients and to demonstrate our ability to fulfill our commitment to our heroes. We know that our clients have many choices and to remain a leader in the automotive industry we must not only meet but exceeds the expectations of our customers. 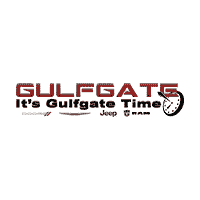 First impressions at the beginning of a buying process as well as maintaining or improving the quality of service during the contract are of primary importance to the Gulfgate Dodge Chrysler Jeep Ram Sales Team. We recognize that, in order to successfully realize consistency of commitment, a number of critical factors require special attention and the heroes of this country that give so much deserve that attention. The Gulfgate “Support Our Heroes” staff are professionals who have a commitment to quality and a conscious desire to continually excel in the performance of their duties. All Heroes will receive special pricing offered to them and family members only. Our staff will continually work with our heroes throughout the entire buying process as well as after the sale on service needs.